Ms. Hun Chanmonyroth joined Youth Star Cambodia in March 2018 as Program Officer. She graduated at RULE, majoring international Relations as well as graduated GEP Program at ACE. Beside her academic study, she involved in workplace as intern. 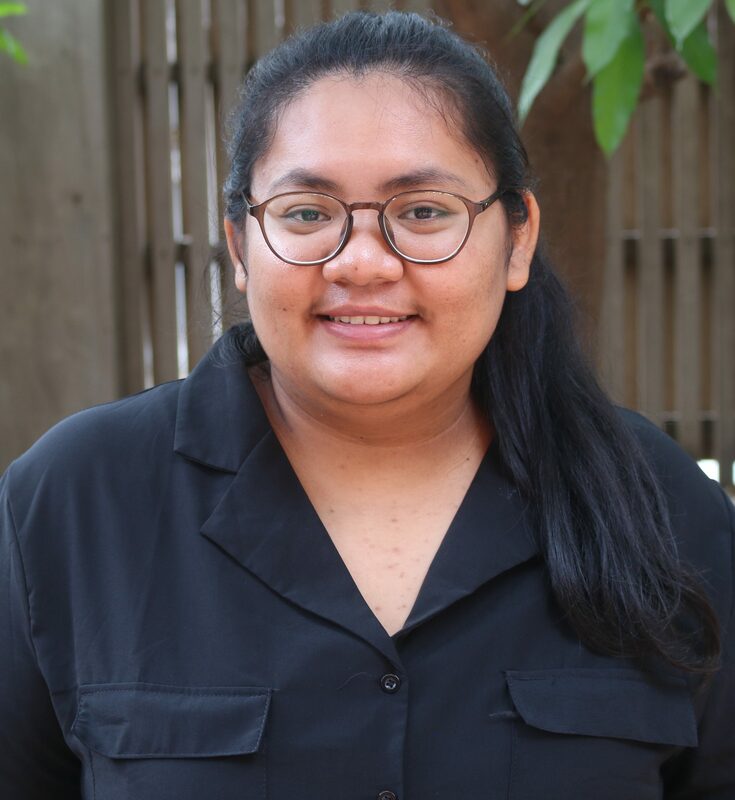 Working as a program intern at ActionAid Cambodia, she assisted the program team which mainly worked with women’s rights team including logistics support, designed the visual content for safe cities for woman campaign and media monitoring report. Then, she continuously interned at GIZ Cambodia that gained her experiences in project planning and implementing as well as financial procedure in international organization. She worked closely with Disabled People Organization (DPO) to provide technical support and capacity building in Kampong Thom province. She passionately work with organization and community development to the vulnerable group. As a youth star program officer, she has a high commitment to improve the education sector and be a part to decrease the illiteracy rate in Cambodia.